Felda Global Ventures Holdings Sdn Bhd, the commercial arm of the Federal Land Development Authority (FELDA), plans to list five (5) of its subsidiary in Bursa Malaysia. CIMB and Maybank Investment Bank will be arrange these IPOs. The fist IPOs will be its sugar operations, Malayan Sugar Manufacturing (MSM) which plan to be listed this year. MSM IPOs may raise more than RM1 billion. This could also make it one of the biggest IPOs for the year. The IPOs will help Felda Global to fund its expansion. It plans to expand by buying land abroad in countries like Indonesia and probably as far as Africa, where oil palm trees originally came from. 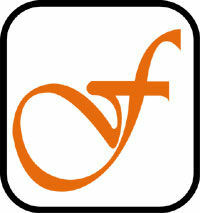 Felda Global is the world’s biggest plantation group by land, producing mainly palm oil, followed by rubber and cocoa. It is also the Malaysian biggest palm oil refiner and controls some 70 per cent of Malaysia’s sugar market. One of Felda Global’s biggest units, Felda Holdings Bhd, recorded pre-tax profits of RM804.3 million in 2009 doubled from 2005. Its revenue has jumped by almost two-thirds to RM11.8 billion in the same period. Felda Global bought MSM from Robert Kuok’s PPB Group Bhd in 2009 for RM1.2 billion cash. It also bought half of Kilang Gula Felda Perlis Sdn Bhd for RM26 million and 6,000ha of land in Chuping in Perlis for RM45 million.The IPOs will help Felda Global to fund its expansion. any tricks that can help? Don’t you think it is very unfair? In fact,should allow more people to strike. Why allow an application of 10 lots to strike all 10 & an application with only a miserable 1 or 2 lots, none at all. Why deprive the ‘not that filthy rich’ to strike. The bigger lot applications don’t really need that money since they have that much money to appy. Of course, not easy to strike as the applications are getiing more & more difficult as not many are that fortunate. But, if you strike & if you apply big quantities, then you make a fortune. It is very unfair for the small quantity applications as this type of balloting, only makes the rich becomes richer. The reason why people who apply for less quantity have less chance is due to high number of applicants that apply for the same quantity but not many for big quantity. Even people who apply for big quantity only get a portion of it. Remember, it not necessary you will make money with IPO, sometimes it go badly on the first day. I do agree with you that people who apply small quantity have less chance as there are more applicants for that category. But I wish they process the small quantity fairly so everyone has equal chance instead of just aiming BIG quantity (which they are rich)!